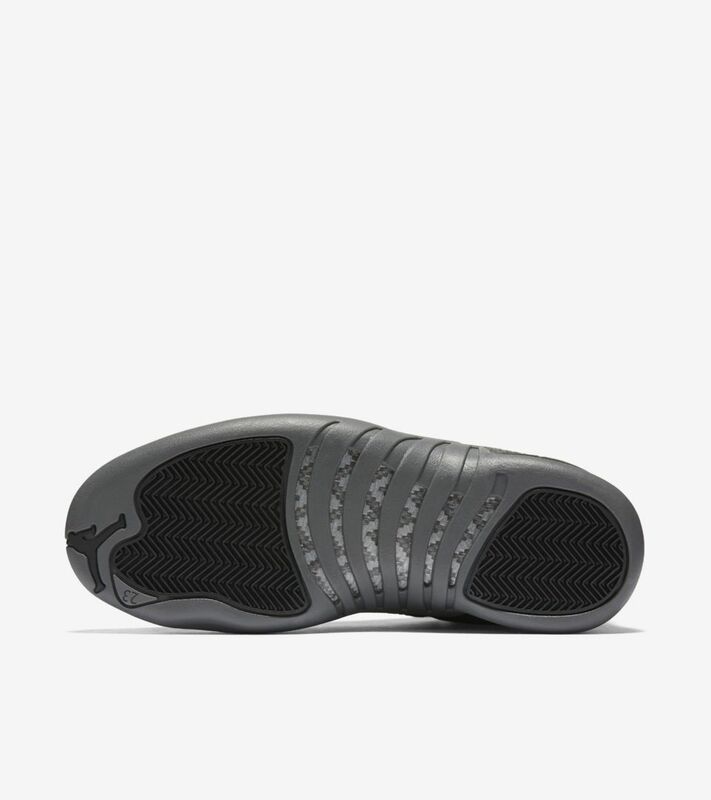 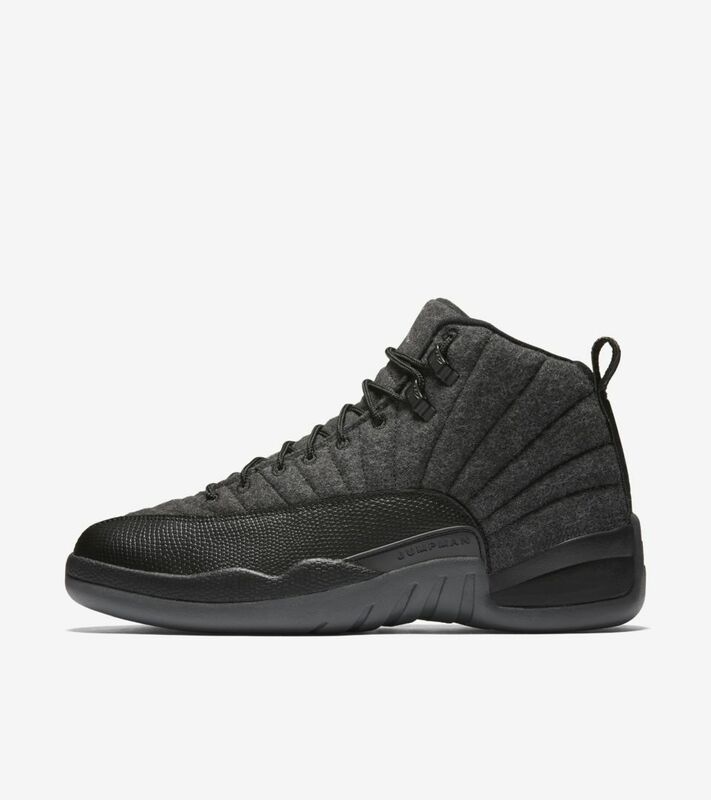 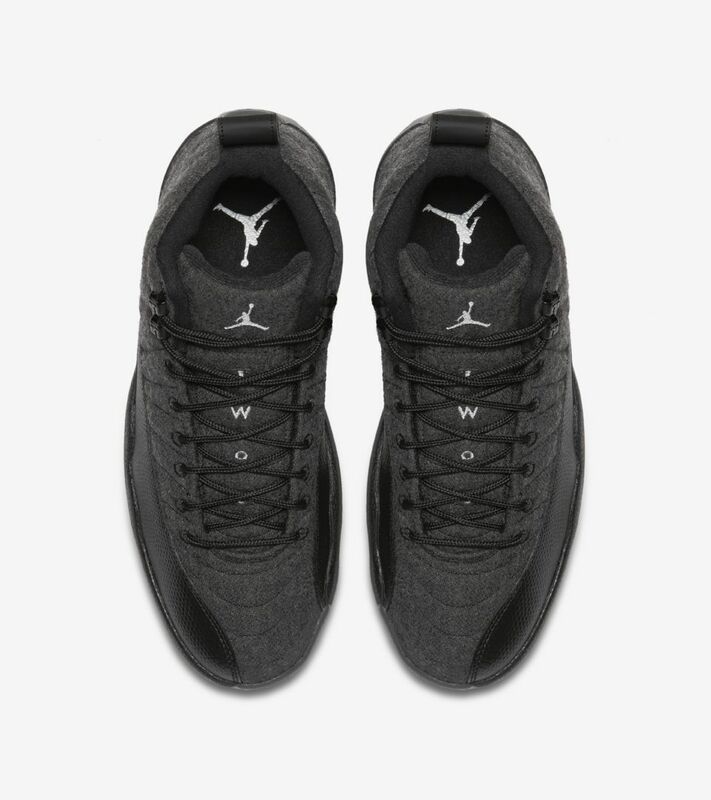 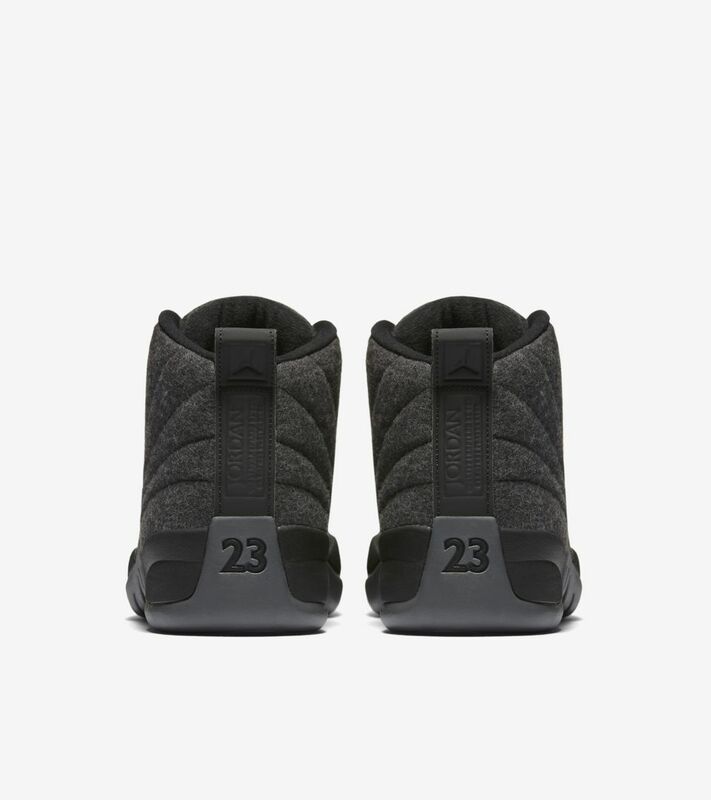 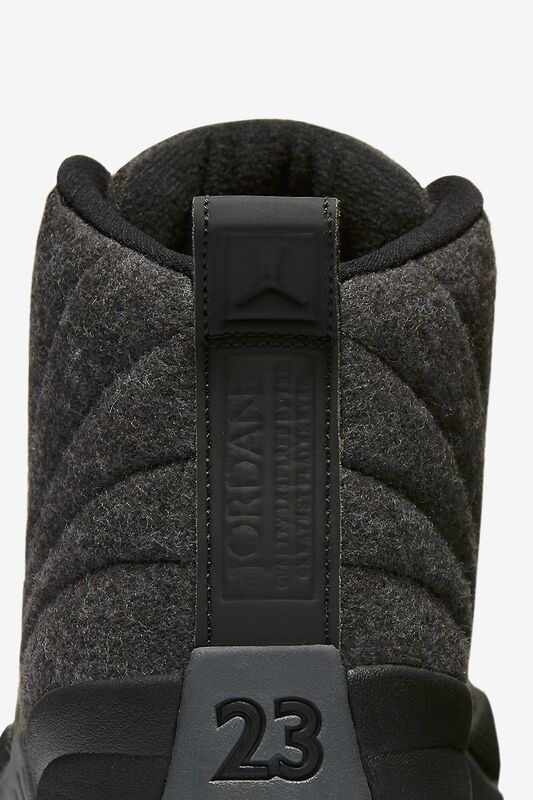 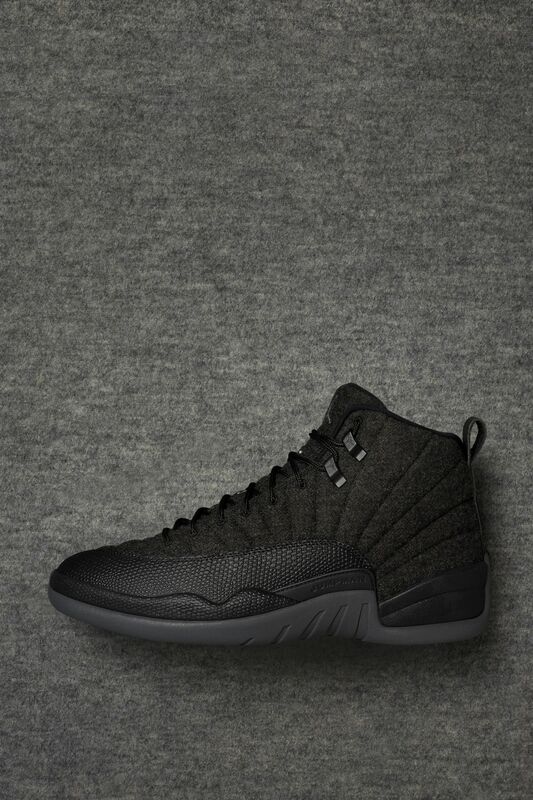 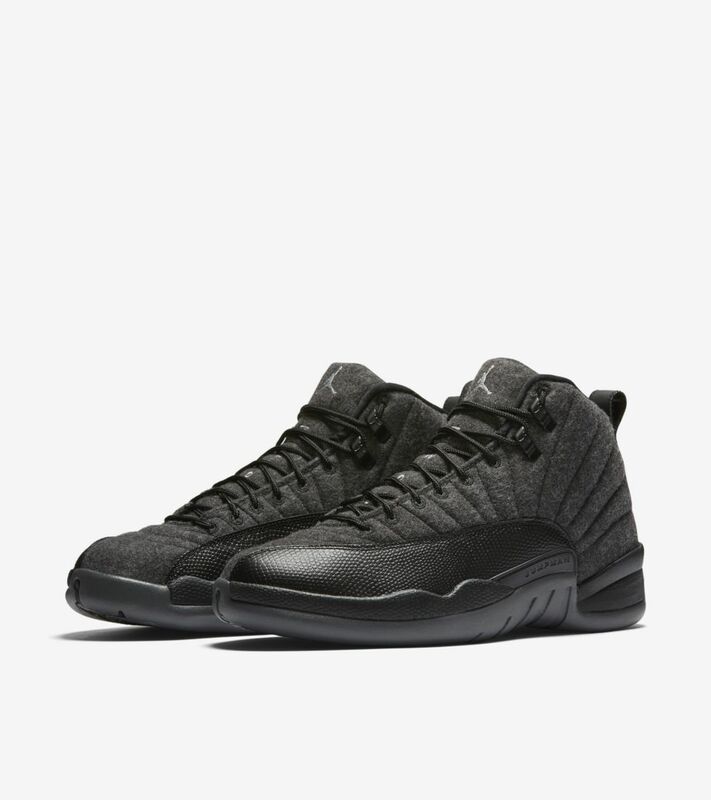 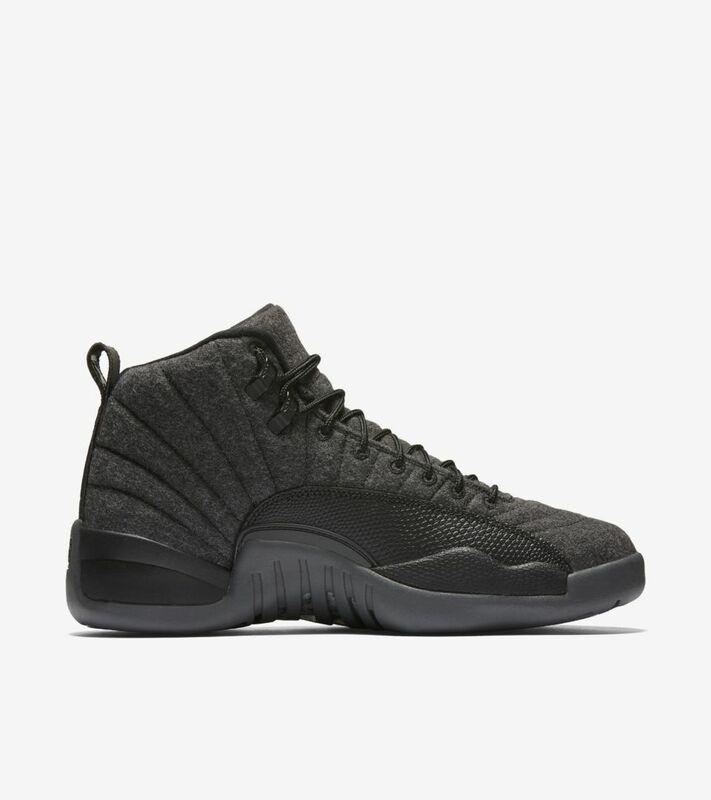 Since its arrival, the Air Jordan XII has stood for luxury. 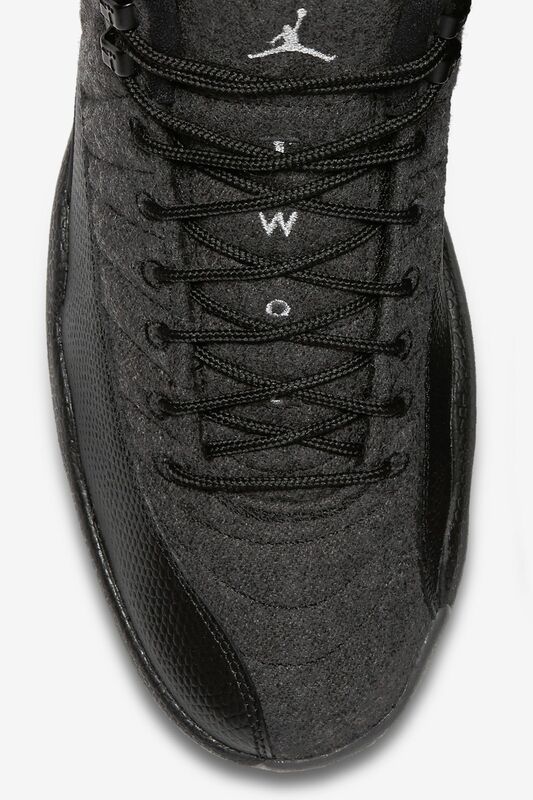 Originally constructed in luxurious leather for on-court performance, the icon designed by Tinker Hatfield is now suited to the season in a warming wool construction. 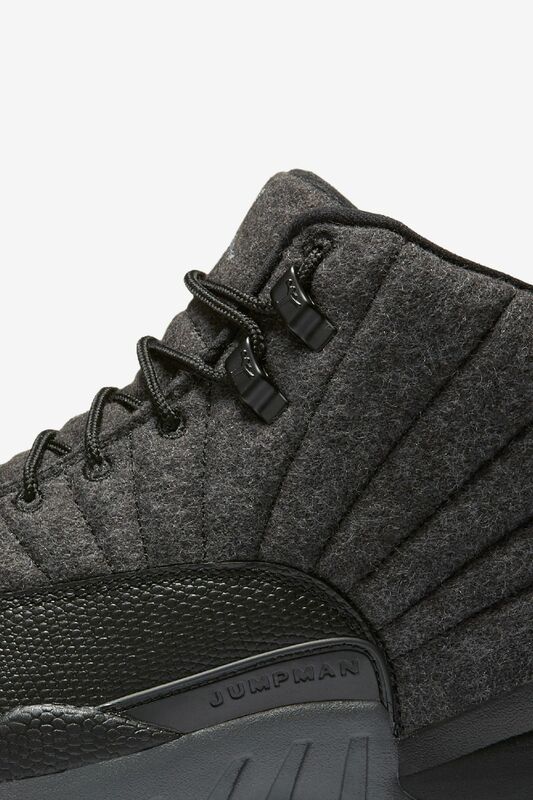 The dark grey wool upper is finished with traditional leather overlays, along with shining accents in metallic silver.